Orange County Bar Association's "Volunteer of the Month." Orlando Business Journal's Best of the Bar (2006). Lisa was recognized as part of the top 10% of attorneys in Central Florida by the Orlando Business Journal's "Best of the Bar 2006." Lisa has over 9 years of experience representing community banks, credit unions, banks, title companies, condominium associations, businesses and loan servicers in a variety of matters, including general litigation matters, foreclosures, landlord/tenant disputes, workouts, contract issues, consumer claims, post judgment enforcement, fraudulent transfer issues and title insurance claims. Additionally, she has successfully, efficiently and cost-effectively resolved numerous disputes through effective settlement negotiation and mediation. Lisa regularly assists clients in filing lawsuits to enforce contractual obligations and in handling commercial real property foreclosures and receiverships. Lisa represents financial institutions with a wide range of business and consumer disputes including consumer protection law claims such as Truth in Lending Act and Fair Debt Collection Practices Act claims, and other state and federal lender liability claims. 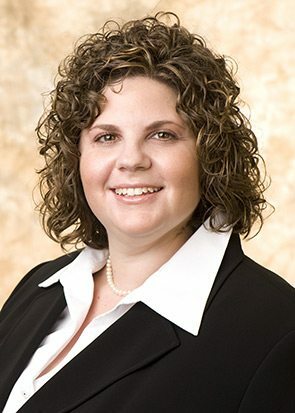 In representing her title insurance clients, Lisa has handled numerous matters which involve evaluating and litigating lost or unrecorded security instruments issues, disputes relating to defects in title and other issues that frequently arise in the title insurance industry. Lisa has briefed many appeals before Florida’s district courts of appeal, and also in federal court, including the appellate brief for the reported opinion in Ortiz v. Phoenicia Development, LLC, 982 So.2d 1208 (Fla. 5th DCA 2008). In addition, Lisa has been a lecturer for Lorman’s “Judgment Enforcement Seminar” and Lisa has successfully enforced judgments for clients. While in law school, Lisa was a summer clerk for the Honorable Raymond B. Ray in the Southern District of Florida Bankruptcy Court.